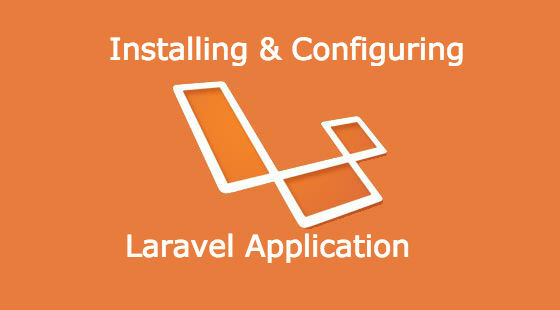 The aim of this article is to show, in a step by step approach, how to install and configure a Laravel application. At the time of this writing Laravel is at version 5.4. The following requirements must be installed in your computer. If you don’t already have them installed please go ahead and do so. Run the following command to generate a base64 key for your app. This key needs to be generated before the laravel app can run. After you run this command you will notice that the APP_KEY config in the .env file now has a value. In this step we install Laravel Homestead as a dependency using composer. Laravel Homestead is an official, pre-packaged Vagrant box for Laravel applications. It gives us a development environment without requiring the installation of PHP, a web server, and any other server software on your local machine. One of the advantages of virtual boxes is that they are disposable, you can destroy it and recreate it as quickly. After the command is completed you would notice that in your composer.json file you now have this "laravel/homestead": "^5.1"
Once Homestead has been installed, use the make command to generate the Vagrantfile and Homestead.yaml file in your project root. The make command will automatically configure the sitesand folders directives in the Homestead.yaml file. Before running the application lets map the ip address to the name of our app. Open the Homestead.yaml file and copy the ip address. Open your hosts file (In Mac/Linux the hosts file is located in the /etc directory while in Windows it is located in c:\Windows\System32\Drivers\etc folder) and on a new line paste in the ip address and then give some spaces and then type my-laravel-app.app . It should look something like below, then save and close the file. Then browse to http://my-laravel-app.app/ . The app should be up and running.